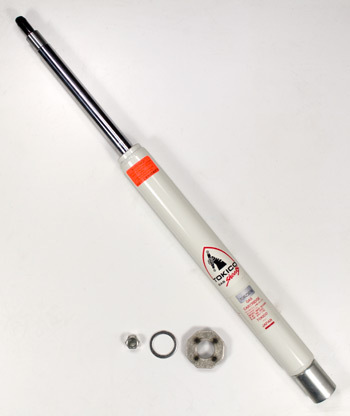 TOKICO Illumina adjustable series offers some of the highest shock absorber technology currently available in the aftermarket. Tokico Illumina's ease of adjustment and change in vehicle response is second to none, with the Illumina using a specially calibrated orifice bypass system which allows simultaneous adjustment of both compression and rebound. Each adjustment "clicks" so you always know your shock settings. The adjustment range of Tokico Illumina is one of the widest available, with 5 separate positions. Position 1 is the softest, or lowest damping force, while position 5 is the stiffest. Whether you are looking for ride or superb handling,Tokico Illumina is the answer. Don't forget new strut boots!